I love a wonderful range hood mounted on a wall above a cooktop. Most people go for the generic store-bought version that matches their stove. Typically now-a-days that has been a standard stainless steel or white. I like the idea of going for a hood with a little trim on it. If you have contractor creating a frame for your vent and sleeve – make a custom version range hood…trim it with a little wood or some metal. There are companies that will customize a hood for you online at a bit of a cost. I love this as an option. Modern or classic…it can be done. Just an idea! 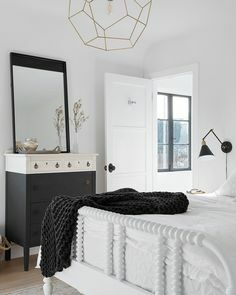 My favorite is this first photo designed by E Interiors…simple, elegant, modern and rustic with the wood trim around the bottom. The rest are just some ideas for more traditional kitchen designs but good-looking too! Take a look.